Weeks after a Supreme Court constitution bench, on July 4, 2018, came down heavily against Delhi’s Lt-Governor for being an “obstructionist”, the Arvind Kejriwal-led government had moved the apex court seeking clarity on some aspects of the judgment. 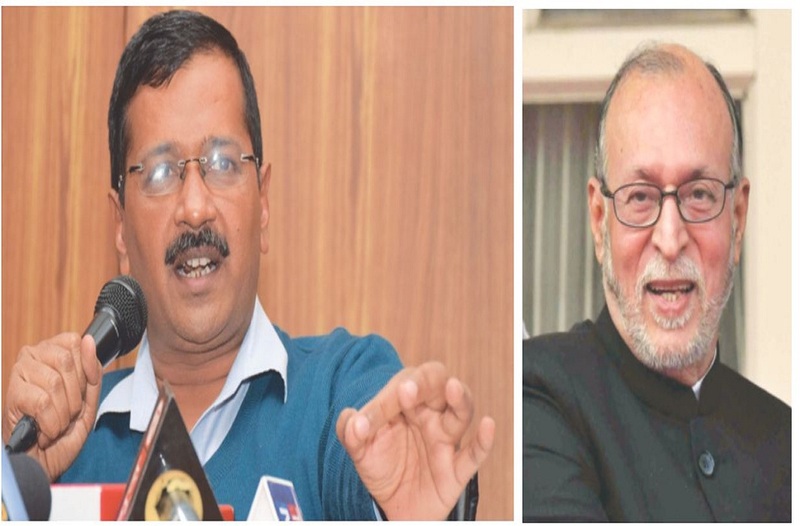 On February 15, as Justices AK Sikri and Ashok Bhushan tilted the scales back in favour of the Lt-Governor, Kejriwal was left wondering if he had been unnecessarily swayed by the July 4 verdict. The bench of Justices Sikri and Bhushan was split on the crucial question of who holds the powers to transfer the Delhi government’s bureaucrats and suggested that Chief Justice Ranjan Gogoi constitute a three-judge bench to resolve the deadlock. On five other matters over which a bunch of petitions, including the one filed by the Delhi government, had sought clarity, the verdict was unanimous but with more reasons for the BJP-led centre and L-G Anil Baijal to rejoice. The bench was unanimous in its view that the Anti-Corruption Branch of the Delhi government cannot investigate corruption cases against central government officials. It also held that the elected regime had no power to constitute commissions of inquiry. Both these are, arguably, bigger setbacks for the Kejri­wal government than the continuing stalemate on who controls Delhi’s babus. The AAP came into existence riding on the popularity of Kejriwal as an anti-corruption crusader and chief architect of Anna Hazare’s now forgotten Lokpal campaign. The unprecedented victory of AAP in 67 of Delhi’s 70 assembly seats had convinced Delhiites that the Kejriwal government would move swiftly on graft cases pending against political and bureaucratic stalwarts. To this end, it was essential that the Delhi government exercise control over the anti-corruption branch and have powers to constitute commissions of inquiry. The February 15 verdict has nixed any such ambition of the Delhi government. The only solace that Kejriwal and AAP can draw from the verdict is on two minor counts. The bench held that under Section 108 of Delhi’s Electricity Act, the Delhi government “has power to issue directions to the DERC (Delhi Ele­ctricity Regulatory Commission) in matters of policies involving public int­erest”. The verdict also held that “Lie­utenant Governor, while appointing the Special Public Prosecutor, is to act on the aid and advice of the Council of Ministers”, effectively giving the state government powers to appoint prosecutors. The verdict of the bench on another dispute between the Delhi government and the LG—whether the revenue dep­artment of the state had the power to revise the minimum rates of agricultural land (circle rates)—was only a conditional win for Kejriwal. The Court ruled that though the state government had powers to decide circle rates, the L-G can, in case of a difference of opinion, refer the matter to the president. While many sticky issues are now settled, confusion continues on whether the Delhi government has the powers to transfer bureaucrats or must defer to the wisdom of the L-G. The July 4 verdict by the constitution bench comprising then Chief Justice Dipak Misra and Justices Sikri, AM Khanwilkar, DY Chandrachud and Bhushan had given broad interpretations of Articles 239 and 239AA of the Constitution which deal with separation of powers between the Delhi government and the L-G. Chief Justice Misra had authored the majority verdict, with the concurrence of Justices Sikri and Khanwilkar, while Justices Chandrachud and Bhushan had written separate albeit concurring opinions. The majority view of the constitution bench had held that exclusion of the Legislative or Executive power in List II for the Delhi government was limited to only three subjects—Entries 1 (public order), 2 (police) and 18 (land). The Kejriwal government’s argument was that “the issue of exclusion of any other additional Entry either in List II or in List III—the State and Concurrent Lists respectively—would not arise”. Senior advocate and Congress leader P Chidambaram, who argued the Delhi government’s case before the bench of Justices Sikri and Bhushan, had submitted that in the light of the constitution bench verdict, the Delhi government had powers over Services as these were listed under Entry 41 of List II. Incidentally, Justices Sikri and Bhushan were also part of the constitution bench that had, on July 4, limited the L-G’s powers to matters related to public order, land and police. Justice Sikri on February 14 conceded that the issue of who controls the bureaucracy in Delhi, especially in the light of the July 4 verdict, presents “a very peculiar situation”. He ruled that “it cannot be said that once the manpower (bureaucratic cadre) is allocated to Union Territory of Delhi, the GNCTD should not have any power to deal with such employees”. He thus proceeded to “carve out a just and fair mechanism”. He ruled: “The transfers and postings of Secretaries, HODs and other officers in the scale of Joint Secretary to the Gov­ernment of India and above can be done by the LG and the file submitted to him directly.” He added that officers of ranks below joint secretary can be transferred by the Delhi government. He also suggested that for “greater transparency, a Civil Services Board can be formed which can be headed by the Secretary (Services) for Grades IV and III officials; by the Chief Secretary for Grades II and I level officers”, and that this Board should decide on transfers and postings of such officers. In his separately penned verdict, Justice Bhushan held that the L-G had absolute powers over transfers and postings of the entire bureaucratic cadre assigned to the Delhi government and that the mechanism suggested by Justice Sikri was not needed. This outburst gave the BJP, rejoicing over the setback to the AAP government, added ammunition to slam Kejriwal for being an “anarchist”. BJP spokesperson Sambit Patra even claimed that the party will explore the possibility of moving a contempt of court plea against Kejriwal for his uncharitable remarks against the Supreme Court. With the forthcoming Lok Sabha polls, the BJP will surely go for Kejriwal’s jugular with the hope of repeating its 2014 clean sweep in Delhi’s seven parliamentary seats. The battle between AAP, BJP and the Congress will now be fought in the people’s court with the administrative stalemate in Delhi’s elected government being a key plank.